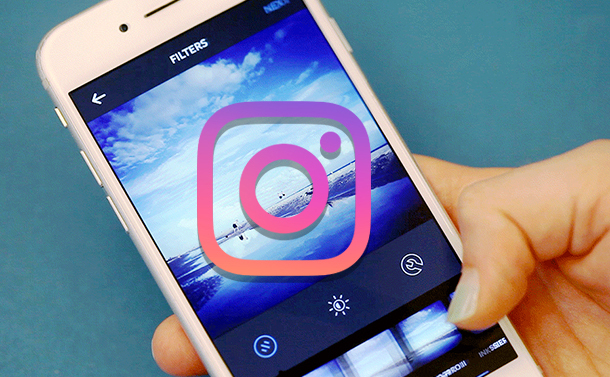 From a new way to shop to the hottest teen trend “Boomerang”, Instagram has tremendously evolved through the years. 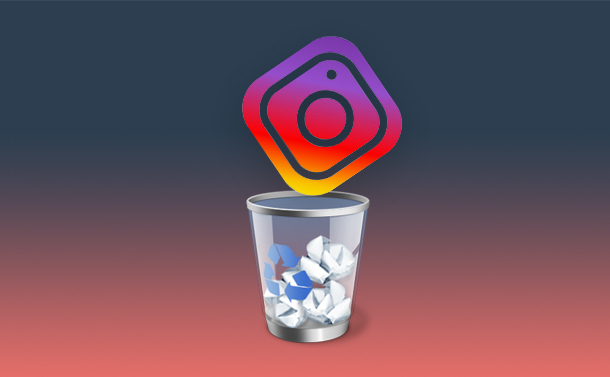 At its core, Boomerang is a super stunning application by Instagram that lets you capture burst of photos that cycle back and forth speedily creating an amazing animated GIF. The boomerang videos look something in between stop motion videos and GIFs. 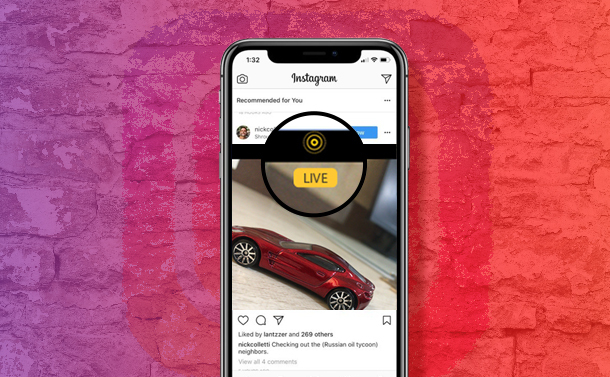 Though, Instagram already has this ‘one-second video-loops’ feature in its stories mode, however, this standalone app is built upon the idea stimulated by Twitter’s Vine, that lets users make “six-second videos on loop” and share on different social media platforms. The Boomerang video app is available for both iOS and Android users! How To Use Boomerang App for Android & iOS? To begin using the Boomerang video app, one has to download it from Google Play Store or App Store. It’s available free of cost. Step 1- Open the Boomerang Video App on your device & point your camera at something you want to boom. Step 2- The interface will show you three buttons: Shutter Button (in the bottom center) to start shooting, flash button (at top-right) for accurate lighting, and flip-cam (at the bottom-right) to switch the camera to rear or selfie mode. Step 3- Find a perfect moment and start shooting by tapping the Shutter button. Step 4- Preview your video and start sharing with your social media family. Step 5- If you’re sharing your mini video on Instagram, you can apply numerous filters to it to customize your video for better. And, that’s it. Happy Booming! • Lets you share your videos on Instagram, Facebook, Twitter, WhatsApp and much more. Has tons of cool Image filters & transition effects. Beam shots to another iPhone. Burst mode feature to click multiple shots simultaneously. Shot videos get automatically saved into camera roll. 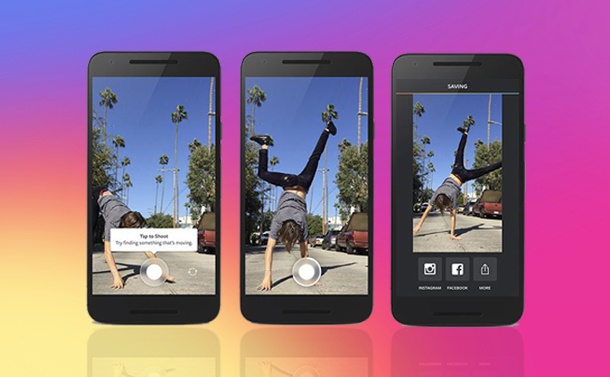 Entirely inspired by Instagram’s Boomerang, meet InBoom an amazing alternative to enjoy video loops with ease. The app allows you to create one-second videos that rapidly plays forwards & backward, to create cinematic masterpieces shots. Using InBoom you can easily manipulate the direction & speed of video playback so that amazing video loops can be created. Directly share videos with your social media family. Enjoy its amazing slow motion and acceleration effects. Loop Video is another incredible stuff to create some marvelous short video clips. This video-effect app turns mini videos clips into a back-and-forth loop for an amusing effect. This is the finest application in the category to allow its users to capture real-time videos through adding loops in them without compromising with the quality. The video editor is extremely powerful & comes with a horde of features. • Capture beautiful memories using both front & back camera. • Allows you take short videos ranging from 1-15 seconds long. • Generate GIF’s and save directly to camera roll. • Share videos on Instagram, Facebook, YouTube & WhatsApp. Flipagram is another powerful & popular app to create videos using fun techniques with hundreds of filters and tools. Either you can tap the ‘create’ button to capture real moments or ‘add photos’ from your device to turn them into fun videos. Edit the speed of the video and apply filters to create something beautiful. Make videos in a different range of styles. Have lip-syncing option & slow-mo. Ideal for Instagram and other social media accounts. Flipagram has its own community, where you can post your videos and stuff. Owned by Google, with millions of monthly users worldwide Scrubbies has been one of the fastest growing platforms in the category of video editing apps. 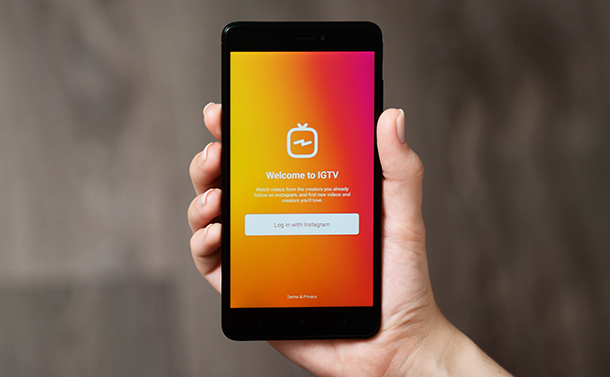 The tool is quite easy & fun to use, it allows you to create videos with music effects so that you can create fun videos on your device in less time period. So, what are you waiting for? Start creating fun short video clips with your favorite pictures and music using Scrubbies. Capture funny faces & replay moments. Swipe with two fingers to record. Captured footage automatically gets saved to the gallery. Easy manipulation of speed and directions of video playback. Simple Interface & fun video effects. Available for iOS only, Hyperlapse is hands-down the best app for creating time-lapses. The interesting feature isn’t just it lets you speed or slow down videos from 1X to 12X the normal speed, but its amazing image-stabilization is also worth mentioning. Once you’re done the shooting, you can start setting things up such as ISO, resolution, white balance and adding loops to the video. The app is used by several major brands including, Taco Bell, Footlocker and Mountain Dew for sharing their behind-the-scenes activities for the business. Incorporate its own stabilization technology. Enhance your videos with awesome filters. Share videos at all mainstream networking sites. Last but not the least, VivaVideo is a free video editing application that allows you to create pro-looking video clips within a few clicks. You can create memes, montage, collage, duet videos and loop clips using the tool. VivaVideo is a one-stop solution if you want to record, edit or manipulate a video or photo at one place, accompanied with a plethora of filters, effects, and tools. Apart from helping you to create mini loop video clips, the app possesses the following qualities. Add texts, FX, effects stickers, soundtracks etc. Hundreds of free music tracks. HD export with no quality loss. Best for both beginners & professionals. Share instantly on Facebook, Instagram & WhatsApp. Crop, edit & manipulate to create something amazing! If you are someone who loves the idea behind loop-videos, then these apps like Boomerang are worth the shot! Like always you can leave all your thoughts and opinions in the comment section below & do not forget to share these great apps like Boomerang with your friends and colleagues.